The Sound Rider Rally in the Gorge was very fun and attended by many types of riders. Jason and Whitney were on hand to share their skills with many new students. 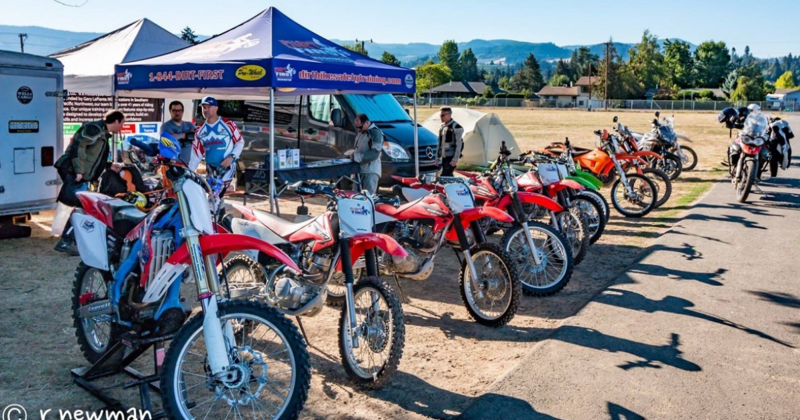 They also hosted a new event called the "Barrel Run", (think rodeo barrel run) where participants rode CRF150 dirt bikes, provided by Dirt Bike Safety Training, around a barrels and cones. In addition to the activities on site, there were tracks available for the Fun Run, and clinics at the Mary Hill Loops Road.